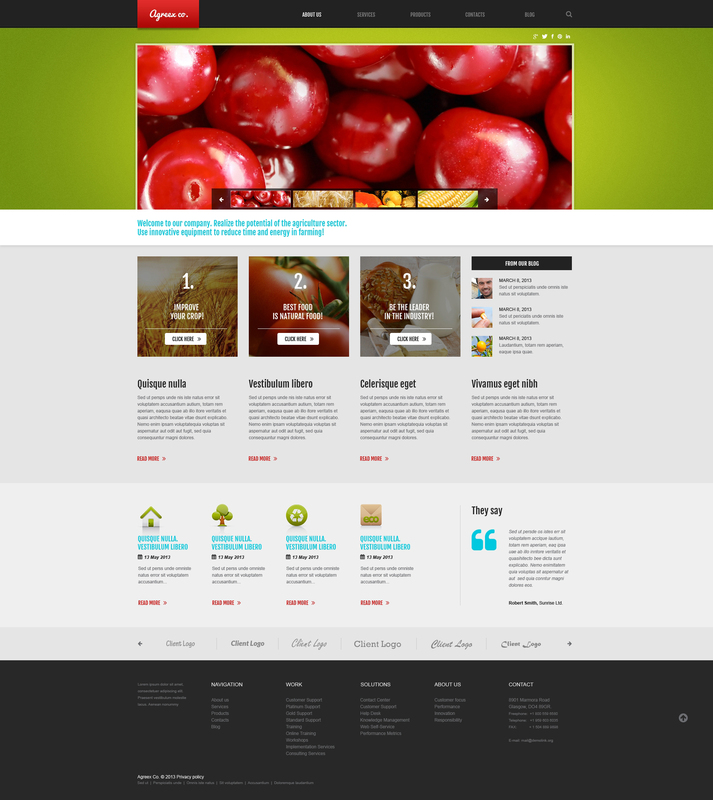 If youÃ¢â‚¬â„¢re looking for visually rich design with thought-out navigation for the agriculture website, here is the one. Its layout rests on multicolored background, whereas featured content blocks, tiny icons, sliders pop out nicely against the light background. The wise structure of the content gives the customers possibility to concentrate on variety of products that company offers. Theme goes with widgetized areas. Social sharing block is placed in the top for grabbing more attention. Theme is awesome and well worth the money, had them install it and everything went seamlessly.